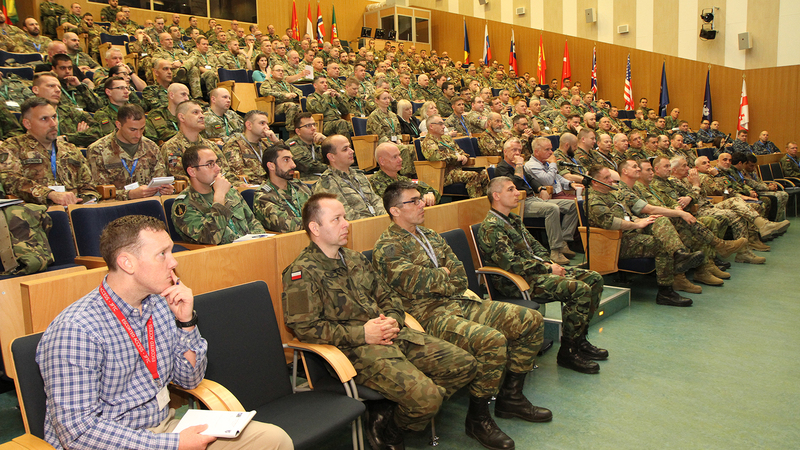 Close to 300 soldiers and civilian experts from 23 NATO and partner nations gathered in Bydgoszcz to participate in the second 2018 Resolute Support training. The event started on 17 April and was opened by Lieutenant General Johann Langenegger, the Resolute Support Headquarters (RS HQ) Chief of Staff, and Major General Wilhelm Grün, the Joint Force Training Centre (JFTC) Commander. “We want to offer you the best pre-deployment preparation that NATO can provide and, at the same time, an opportunity for team building. 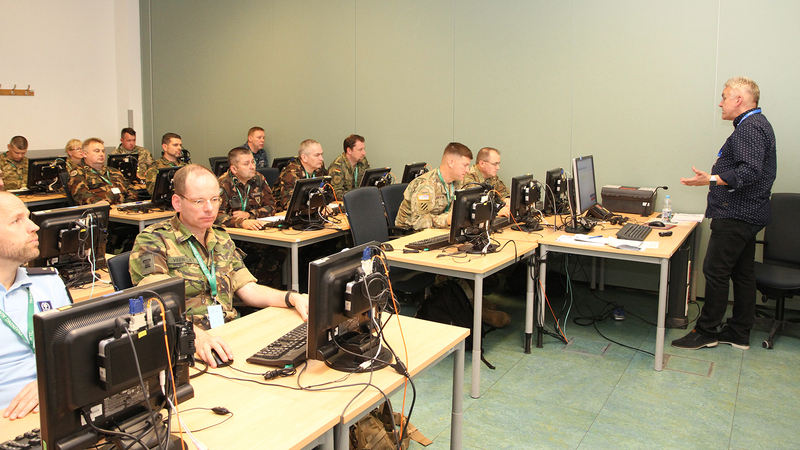 (…) Take full advantage of all opportunities that JFTC - the focal point of NATO pre-deployment training – offers” – said General Grün welcoming participants of the training event. 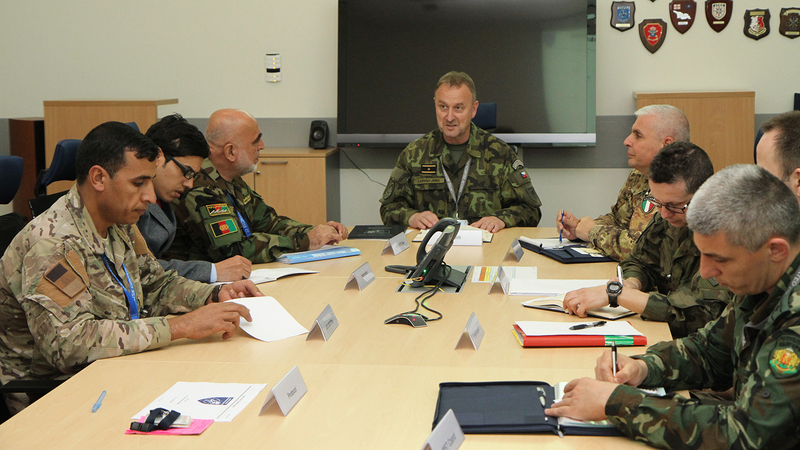 He encouraged the trainees to focus not only on their respective roles in Afghanistan, but to look at the global picture of their future mission. The JFTC Commander also introduced Brigadier General Ladislav Jung, the JFTC Deputy Commander and Chief of Staff, who is this exercise director. 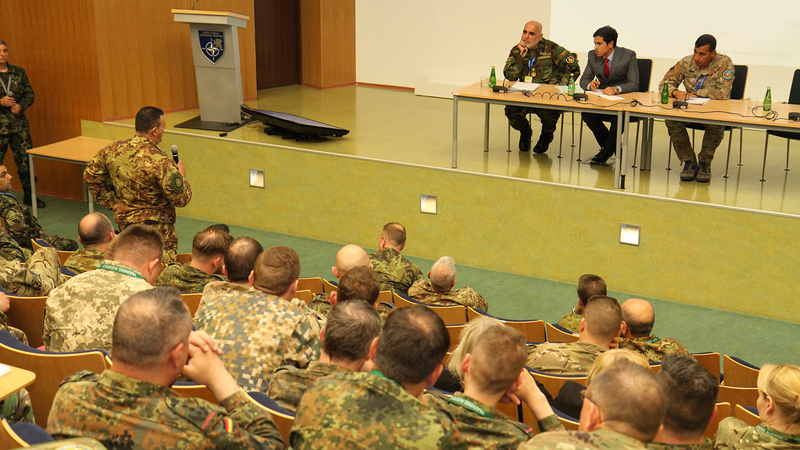 On the first day of training the participants also met with Lieutenant General Langenegger, who arrived in Bydgoszcz directly from Afghanistan. 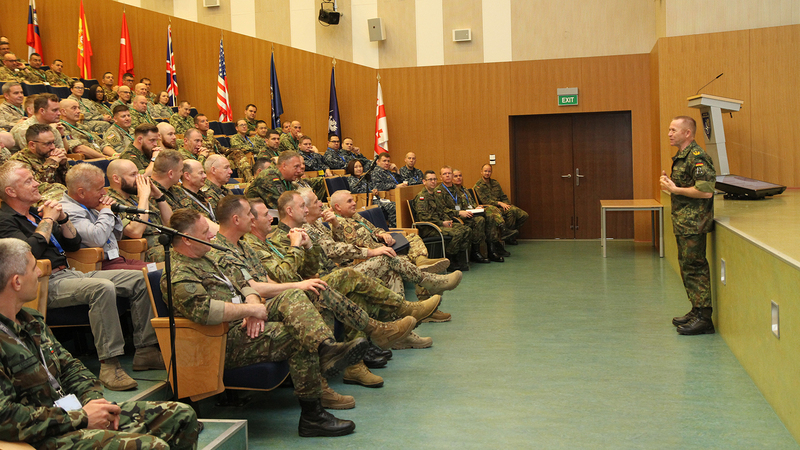 He introduced the training audience to the Resolute Support mission, its achievements and ways forward. The RS HQ Chief of Staff presented the RS Commander’s vision on the mission and underlined the importance of the allied effort in Afghanistan. He recalled words of President Ghani: “Resolute Support legacy to Afghanistan will not be guns and ammunition (…) but the systems and processes that you leave behind”. With this, General Langenegger encouraged future members of Resolute Support mission to take full advantage of the training event in order to be ready to fulfill their duties at the highest possible level. General Langenegger’s message was strengthened by words of two representatives of Afghan Ministry of Defence and Ministry of Interior - Brigadier General Din Mohammad Zahid and Colonel Mir Ahmad Azimi who met with the trainees on the second day of the event. They thanked NATO and partner nations for their support in Afghanistan and highlighted the importance of the advisory mission. They also provided soldiers with up-to-date information on challenges the Afghan National Security and Defence Forces face. The second of this year’s JFTC flagship events will continue next week. The soldiers preparing for their mission in Afghanistan, including future members of Resolute Support HQ and Train Advise Assist Command West (TAAC-W), as well as advisors assigned to all TAACs (East, North, South, West), are now receiving high-quality training consisting of both theoretical and practical parts. The event will also focus on respective positions, roles and responsibilities the trainees will soon assume in Afghanistan.